It is nice to cozy up with loved ones or sit under a warm blanket while listening to the rain, but without a good gutter, your day could easily become a nightmare. Many homeowners are aware of the need to keep pine needles, leaves, and other debris from clogging the gutter. If this is not done, the runoff water from the roof will spill to the sides and potentially result in significant damages to the landscaping, basement, foundation or sliding. There is where a GutterBrush Leaf Gutter Guard for Standard 5 Inch Rain Gutters comes in. At first glance, a gutter brush looks like a gigantic caterpillar or a large black pipe cleaner. The product is covered with polypropylene bristles which are twisted around a galvanized steel cylinder. The gutter brush works on a very simple principle. It is perfectly sized to fit inside a standard five-inch gutter with minimum effort. You don’t need fastener or screws of any kind to complete this task. The bristles of the gutter brush are meant to repel the leaves while allowing rainwater to flow around the brush. The gutterbrush has bristles which look like a hedgehog’s spikes. These bristles block large leaves from building up in the gutter. However, smaller leaves may stick to the bristles, and for this reason, the gutterbrush has to be cleaned occasionally. It is made from durable and high-quality UV polypropylene material for the bristles and galvanized steel wire to make the core. This product has been recommended by reputable home improvement experts such as Dean Johnson/PBS Hometime and HGTV. What is GutterBrush leaf gutter guard? 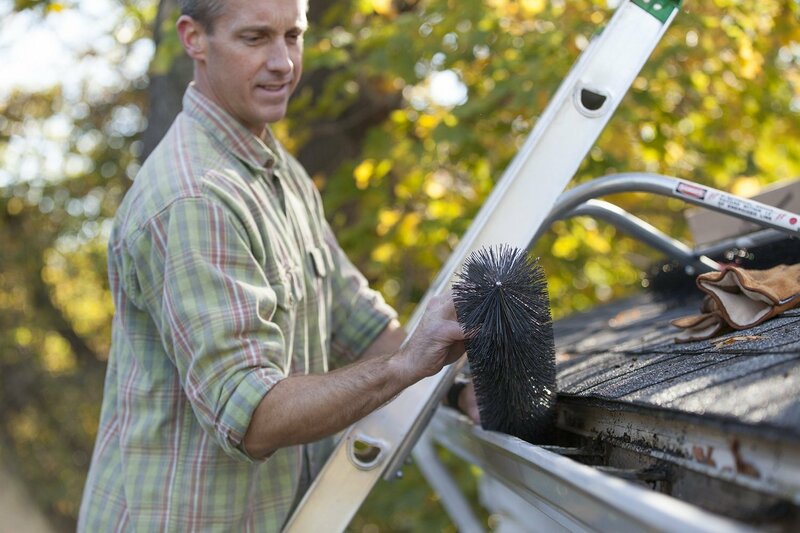 The GutterBrush is meant to prevent the buildup of leaves and other debris in the gutter. 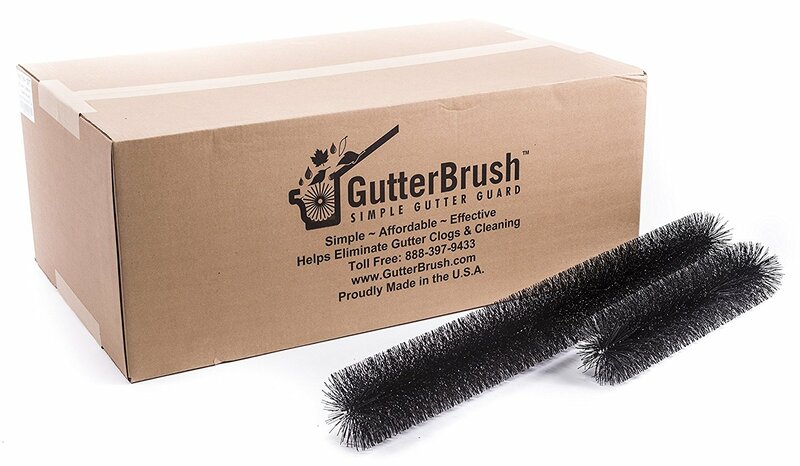 If you are tired of build-ups or constantly cleaning your gutter, you need a gutterbrush. You simply need to place it in your gutter and watch as leaves are blocked and water flows through freely. The brush is made from long-lasting and high-quality materials-both the bristles and galvanized steel at the core. 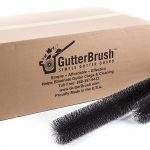 In addition, the manufacturer offers a number of gutterbrush sizes; therefore, you can be sure that you will find one that will fit into your gutter perfectly. Installing this gutter brush is pretty simple and straightforward since you don’t need any tools. In addition, you don’t need to modify the existing gutter system. You simply need to place the brush into the gutter and it will do the magic. If you want to adjust the length of the brush, fold it over on one end. You don’t need to cut it. 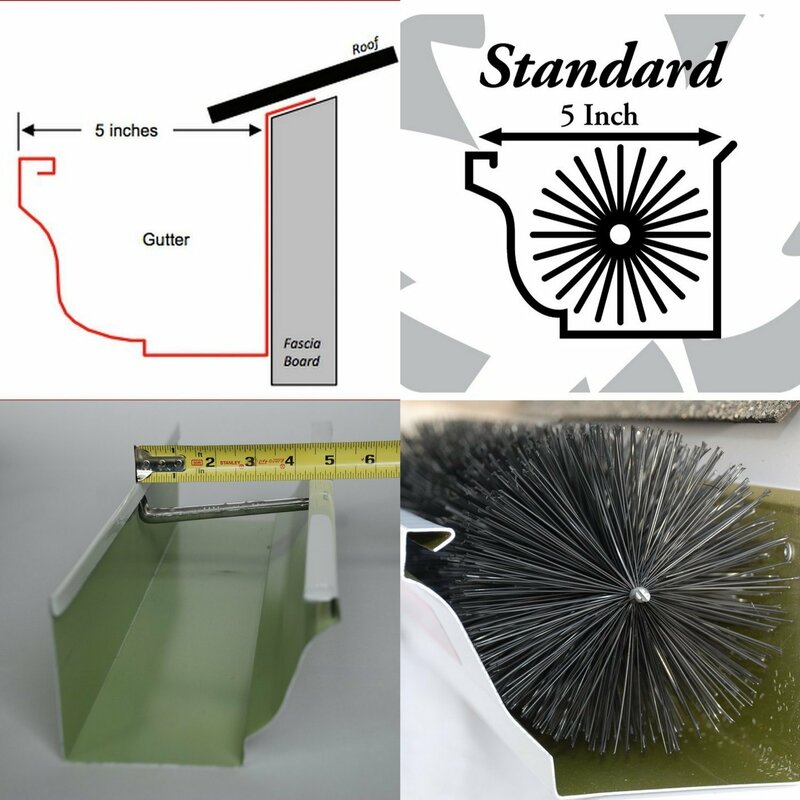 GutterBrush offers an inexpensive alternative to commercial grade filters or screen when compared to other gutter guards. It is also made from high-quality material and it’s easy to install. Although it requires occasional cleaning, it the best gutter guard you can get for your home. Most importantly, it is easy and takes only a few minutes to install this gutter brush. We have been looking just for the right way to protect our gutters and I never thought that gutter brushes would be effectively until I read reviews online. This is when I decided to give it a shot. After installing the gutterbush, I found that they were very effective in preventing the gutter from clogging with leaves. I also noticed that they are very easy to install.